... I read on the wall of the hotel where we checked in. My mom, who obviously didn’t read this indisputable wisdom, looked shyly to the young and tanned surf-crowd chilling out on the terrace and asked me if I wasn’t ashamed to be here with this oldie. Ashamed? Of all these travellers I have a mother that loves me so much that at the age of 61 she crosses an ocean for me and flies into a third world country somewhere in America, a continent where she has never been. I am proud. Proud of having a parent stepping out of her comfort zone to explore. 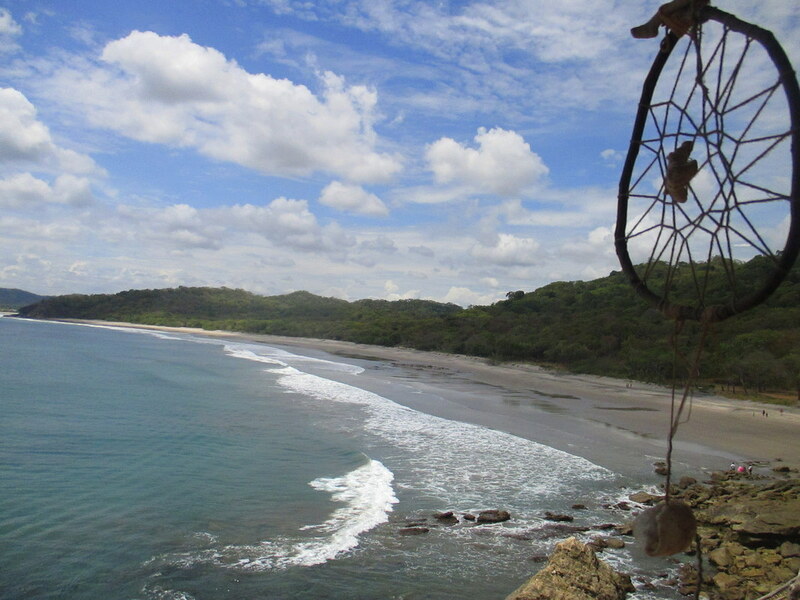 This time the expedition brought us to Pacific. 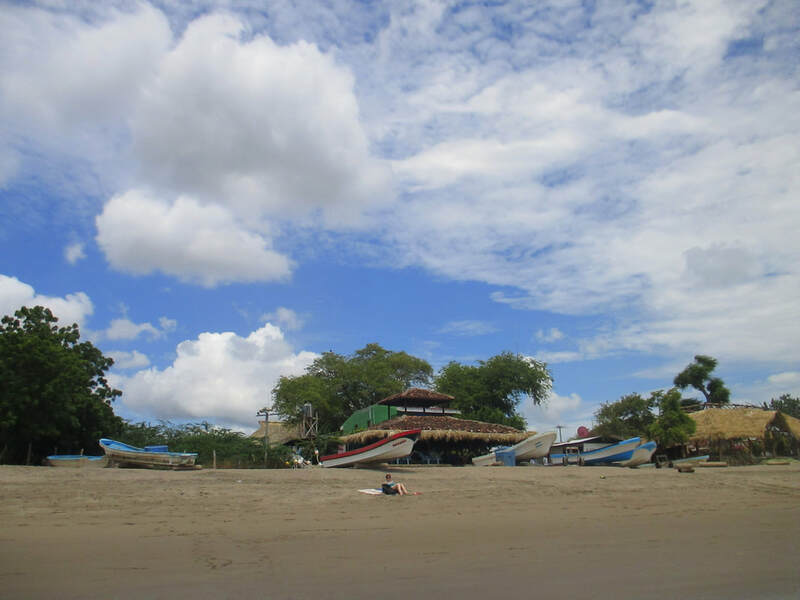 Now I have seen a bit of the Nicaraguan side of the west coast before, in a place everyone probably read about in every single travel guide, blog or magazine you could possibly find: San Juan Del Sur. *Understatement alert*, I wasn’t the biggest fan of this party beach town [I quote my previous blog: “A place for travellers that don’t want to travel, but just want to do what they can do everywhere else in the world: hang around, party, speak English, avoid the ‘scary locals’ and drink until you can’t remember where you are anymore. And honestly, forgetting where you are might be the best option indeed here.”]. So yeah, not heading back there with the mom. 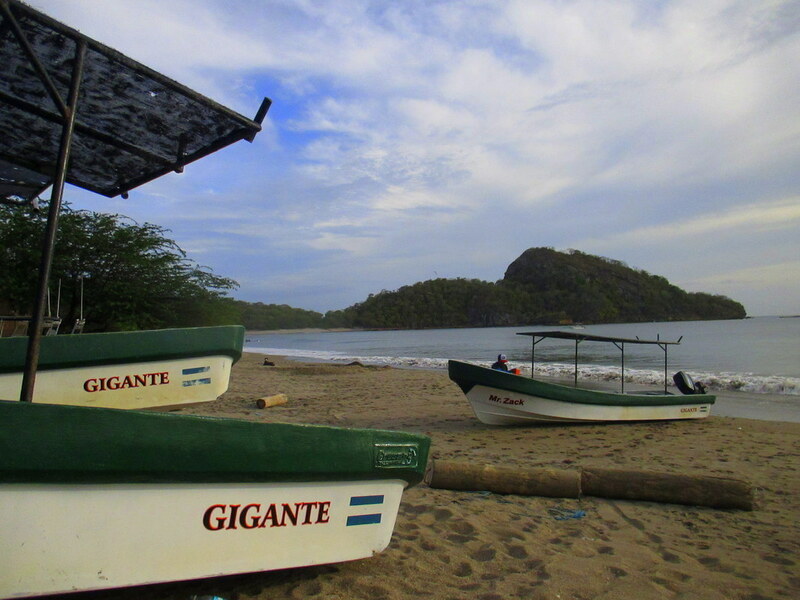 Instead, I asked some locals where they go if they’re craving for a no-frills day on the beach… Playa Gigante. ​Walking down the dirt road to the water we passed a tiny place that can’t even really bare the title ‘village’, consisting of some cardboard-iron-houses and pigs and chickens running loose. Along the tsunami-evacuation route we climbed passed some fisherboats and there it was: a beach that fortuitously can only be described as a beach. No disco’s, no clubs, no banana-boats or sunchair rentals, just a breathtakingly beautiful empty piece of golden coastline where locals head out with their fishing boats every morning and where people live side by side with nature, providing them with all the resources necessary for their existence. Both days we were here we had the beach to ourselves, besides some children running into the water with their clothes on and sneakily swimming as close as possible to see these two strange white human-beings from up close. On my belly I surfed over the waves rolling over the sand, lifting me up on their way to the shore, fish jumping out of the water ahead of me. The pelicans noticed that too and sharply flew over my head to gather their lunch by throwing themselves in the water via a swift emergency dive. The first time I saw them promptly vertically falling from the sky to grab their prey, I thought I witnessed an acute bird heart attack. ​I slowly jaunted to a faded restaurant constructed of bamboo and banana leaves to beat the heat with some ice water. I waited for ten minutes and decided to look for the waiter, helped by some weather-beaten fishermen screaming out random names. He was sleeping, adapting to the pace of the village, passing by slowly like the waving of the palmtrees. After he helped his first and last customer of the day we toasted, glaring at the animals that allowed us to share their environment with us that day. Tanned and with a skin burning from the salt we looked at the sunset with some surfboys from Norway, the US and South Africa, without feeling the thresholds of age, language or country borders. I smiled. 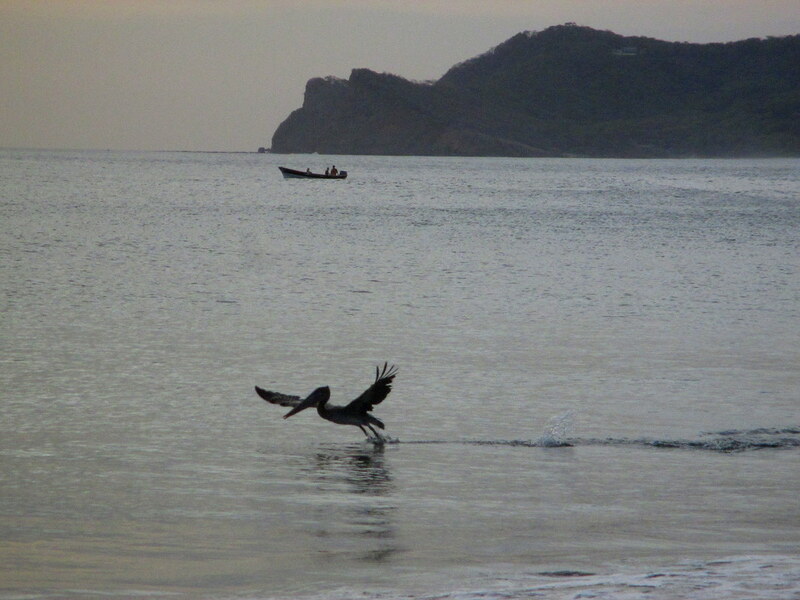 The waves of life elevate you to a level where inequalities look minimal, the sun fading the last apparent differences.